Over at IT talks, Blogie has been testing out his N82, and he reckons it ‘definitely lives up to expectations’. He tested the camera (with and without xenon flash – and I’m sure you’ll agree that it makes one heck of a difference to the snaps) and he is a fan of the specs that Nokia have thrown at the device. He’s less sure about the keypad, however, saying that if it is to be a ‘storytelling’ handset (due to the photo and video capabilities), then typing text should really have been made easier. He reckons it is ‘too compact and the keys are hard to hit’, making typing anything – and especially telling a story – difficult. That said, given the gadgets included and the ability to control your life, he’d ‘certainly recommend this’ to anyone looking for a new device. Is there anything that you disagree with Blogie about? What do you like / dislike about the device? Head over, leave a comment, and see if anyone agrees with you. 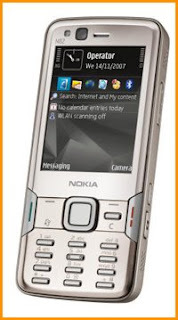 In other N82 news, Mike from The Nokia N82 Blog has found a way to copy and paste text from an SMS or email. By selecting forward, and using the # key, Mike has discovered that text can be placed on the clipboard. He asks if anyone has found a better way, so if you have, get over there and let him know.